A pen gun confiscated by airport security, via TSA. A gun designed to look like a pen was confiscated from a traveler at Orlando International Airport. The gun, when operational, can fire a .22 caliber round. 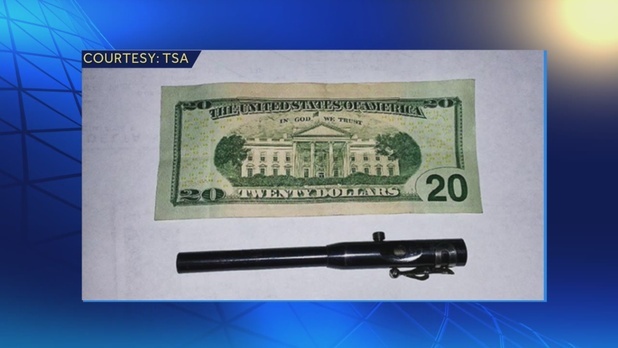 The TSA told WESH 2 News that the weapon was found in an unidentified passenger’s carry-on bag at an airport security checkpoint on Dec. 30. 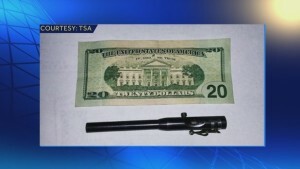 “The item was surrendered,” a TSA spokesman said. The TSA allowed the passenger to continue to fly. No arrest was made. Sources told the WESH 2 News that the gun was a family heirloom and was inoperable. Still, the TSA has the authority to issue a civil penalty of $11,000 for anyone who brings a dangerous or prohibited item to the checkpoint. Posted: 1/20/16 at 8:36 AM under News Story.